ATLANTA -- Atlanta police are investigating after a teen was found shout near an area apartment complex on Wednesday. The incident happened in the 1500 block of Hardee Street NE near Edgewood Court Apartments. Both police and fire crews are on the scene. The victim has not been identified but police said he is a 15-year-old male. Police added he is in stable condition. ATLANTA (WXIA) – Homeowners in one metro Atlanta neighborhood are questioning Xeroxed flyers that are showing up, promoting a free barbecue this Saturday. It’s what’s on the invite that has them talking. The community garden at Hardee and Mayson is where, according to the flyer, the barbecue is supposedly going to take place – but that’s not all it says. Stapled to power poles around the Edgewood community, the white flyers announce the barbecue, and welcome everyone – except the police. Not only that, they use a most explicit word to say so – one which we cannot use here. The ‘F-word’ is directed at police. The flyer also has a drawing of hot dogs being roasted – over a burning Atlanta police car. 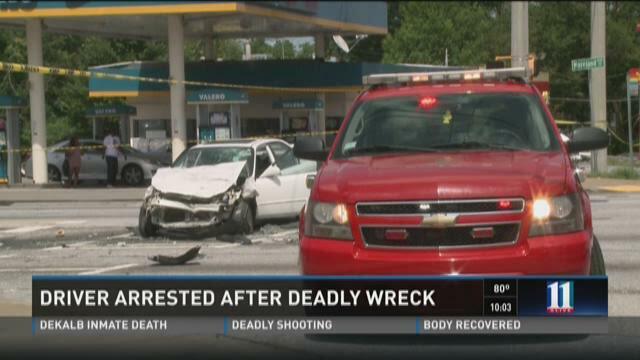 ATLANTA -- One driver is behind bars following an accident Saturday afternoon that killed another motorist. Police have not identified the driver or the victim but said that the suspect is being held for suspicion of driving under the influence with more charges pending. Police believe he was driving north on Moreland Avenue when he ran a red light at Memorial Drive and crashed into a Nissan Maxima. The driver of the Maxima was killed. The female passenger was taken to the hospital and 11Alive has not yet obtained her condition. The accident happened in DeKalb County but crossed into Fulton. Ryan Kruger contributed to this report. 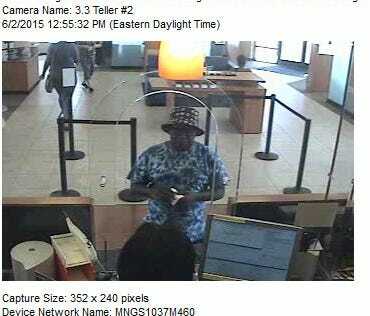 ATLANTA – Atlanta police are searching for suspect in two recent bank robberies. According to police, the man walked into a Chase bank located at 1215 Caroline Street and demanded 10 $100 bills. The man didn't display a weapon, but the clerk felt intimidated and gave the man $2,300, police said. Authorities say the same man robbed a Chase bank on Ralph David Abernathy Blvd. Saturday morning. Anyone with information on the suspect is asked to call Crime Stoppers Atlanta at 404-577-TIPS (8477). ATLANTA -- Atlanta police have confirmed that a man has been arrested in connection with a graduation party stabbing early Saturday morning. Ronald Wilson, Jr., 36, was arrested and charged with murder on Saturday afternoon. Investigators said two men got into a fight at the home on Rockyford Road and Delano Drive. Police believe Wilson stabbed the other man. The victim was taken to the hospital where he later died. At this point, police still haven't identified the man. ATLANTA (AP) - Fulton County prosecutors say sentences have been handed down in the fatal shooting of an Army reservist on a bike trail. District Attorney's spokeswoman Yvette Jones said Tuesday that 15-year-old Zion Wainwright and Qutravius Palmer were given three consecutive life sentences plus 15 years in the death of 21-year-old Xavier Arnold. Authorities have said Arnold, his girlfriend and a friend were walking along a bike trail Dec. 26, 2013 when Arnold noticed the two following them. Authorities say Wainwright pulled a gun on Arnold when he turned around and demanded their belongings. Investigators say Arnold was shot in the back of his head and his friend was shot in the leg. ATLANTA -- Two suspects accused of gunning down an Army Reservist the day after Christmas will go on trial this week. Zion Wainwright, 15, and Qutravius Palmer, 24, have been charged with murder, felony murder and aggravated assault in the Dec. 26, 2013 shooting death of 21-year-old Xavier Arnold. Prosecutors said Arnold, his girlfriend and their friend Ibrahim Sanusi were walking along a bike trail near Rogers Street in Atlanta's Kirkwood neighborhood. Arnold, a student at the Savannah College of Art and Design, was taking pictures of some graffiti when he noticed two men following him. One of the suspects pulled out a gun and demanded the victims' belongings. Arnold struggled with the suspects and was shot in the back of the head. Sanusi was shot in the leg. A neighbor heard the gunshots and called 911. Arnold was later pronounced dead at the hospital. ATLANTA -- A woman was robbed and shot while arriving at a northeast Atlanta apartment complex to see someone she met on a dating website. It happened shortly before 3 a.m. Thursday at the Edgewood Court Apartments in the 1500 block of Hardee Street. Atlanta Police Capt. Terrell Griffin said the victim was accosted by two suspects outside Building 8. They robbed her at gunpoint, then told her she could leave. As the victim drove away, the suspects fired a weapon at her car, striking her twice. The victim, whose name has not been released, was taken to Atlanta Medical Center with non-life-threatening injuries. Griffin said police have not yet identified the suspects, but are following up on several leads and checking the victim's interactions on the dating site.